The Hollywood Film Awards is not one of those trophy-giving orgs that sticks to the glitz and skips the below-the-line talent. Take Sarah Greenwood (Hollywood Production Designer Award). She was just weeks away from production on Joe Wright’s “Anna Karenina” when the original concept died. Wright’s theater was built on Shepperton’s largest soundstage. 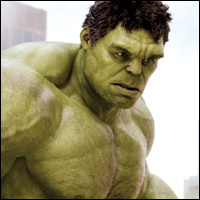 Janek Sirrs and Jeff White (Hollywood Visual Effects Award) are acutely aware that their work on “The Avengers” keenly affects the film’s ultimate failure or success. “Certainly you have that realization, especially with something like the Hulk who has so much history and an impassioned fan base,” says White. “We wanted to create a Hulk who was believable and we were lucky with (director) Joss Whedon, who knew what kind of Hulk people wanted to see. Also honored at this year’s Hollywood Film Awards are Dylan Tichenor (Hollywood Editor Award, “Zero Dark Thirty”) and Wally Pfister (Hollywood Cinematographer Award, “The Dark Knight Rises”).